Vary your fitness routine. 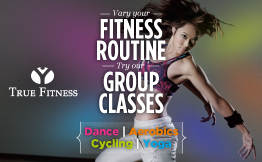 Try our group classes! Valid till 30 June 2019. Terms & Conditions Apply.